The entomology major is a thorough, science-based, applied biology curriculum that prepares students for careers in almost every life science field, including Molecular Biology and Biotechnology, Systematics, Ecology, Environmental Biology, Vector Biology/Medical Entomology, Insect Pest Management and Urban Entomology. Our goal is to support and encourage students who are preparing for a career as a scientist in a federal, state, or industrial laboratory, academic institution, the military, governmental agencies, and in industry by providing them with as broad a background as possible in the many facets of insect biology. Programs within our Department encompass all levels of biological organization from the molecular level to ecosystems. In addition to training in modern methodologies of classical entomology, the Department has special emphasis areas in Insect Biology, Biological Control, Molecular Entomology and Environmental Entomology. The degree provides an excellent background for an advanced degree in many other fields, including environmental health, industrial hygiene, toxicology, public health, epidemiology, ecology and environmental engineering, and will satisfy entrance requirements for professional degree programs such as medicine, veterinary medicine, dentistry, optometry and pharmacy. Students who successfully complete the program of study receive the Bachelor of Science in Environmental Sciences (BSES) degree. 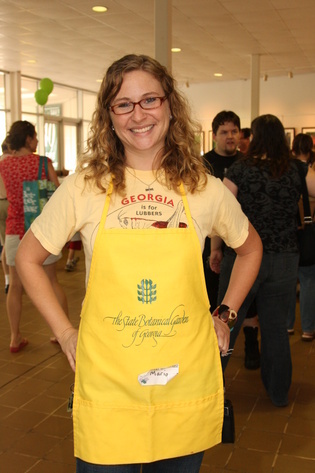 The degree program is nationally accredited and is the only undergraduate Entomology degree in Georgia. The applied biotechnology major provides students with the scientific background and laboratory experience necessary for employment in the biotechnology and pharmaceutical industries, or for advanced study in the applications of biotechnology and molecular biology for the use and improvement of plants, animals, and micro-organisms. In addition, it can be used by students to prepare for professional programs in medicine. Students should possess a strong interest in the sciences and an interest in chemistry, biotechnology, microbiology. This interdisciplinary major brings together areas of study such as animals, food science, forestry, entomology, and plants to educate students with the knowledge and skills necessary to use biotechnology for the improvement of plants, animals, and microorganisms. Students will be able to obtain the hands-on experience needed in this discipline through work on campus and internships with biotechnology-related companies. Students will choose an area of emphasis that will allow them to study the use of biotechnology in the improvement of plants, animals, or food science. Prospective students are welcome to contact the Entomology Undergraduate Student Coordinator, for an introduction to undergraduate programs in entomology. General information about undergraduate education at the University of Georgia is contained in the UGA Undergraduate Bulletin. In addition, the University offers a suite of resources for helping you select a major at UGA.